A jail spokesman, however, said jail doctors examined Sharif thoroughly and his health is fine. LAHORE: Pakistan's jailed former premier Nawaz Sharif's health condition has deteriorated, his daughter claimed on Friday and alleged that authorities are not letting his cardiologists examine him in the jail here. Maryam Nawaz on Friday said that Sharif, who has been serving a seven-year jail term in Lahore's Kot Lakhpat jail in the Al-Azizia Steel Mills graft case, is suffering from a pain in his arm, "which is most likely to be angina". "Nawaz Sharif is in good health," he said. Taking to Twitter, Maryam complained that Sharif's cardiologists "have been trying to get access to him all day but (the) permission (has) not (been) granted". He demanded the jail authorities to immediately allow Sharif's cardiologist to examine him and provide him the best health facilities. 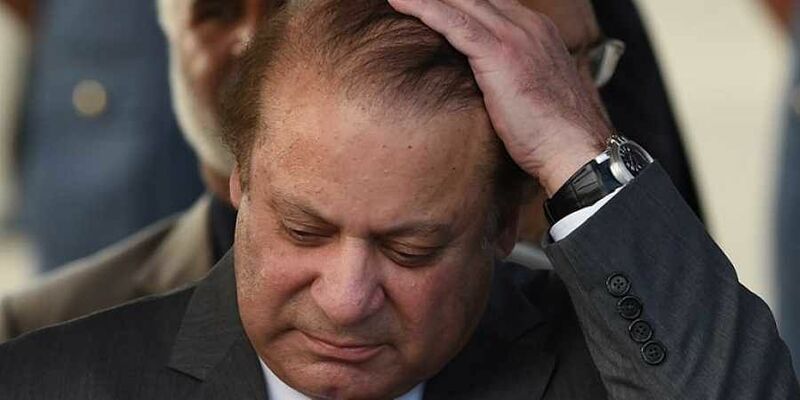 An anti-corruption court in Pakistan on December 24 sentenced the ousted premier to seven years in jail in the Al-Azizia Steel Mills graft case, concluding a series of three court cases against the Sharif family in the high-profile Panama Papers case.